This step-by-step tutorial describes how you can start using Hitonic FTPSync. The tutorial does not describe all features of the application. 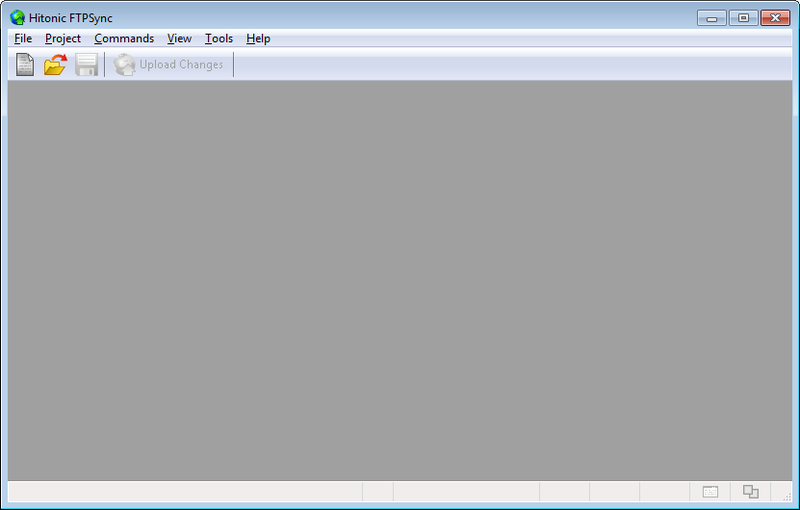 Select the File / New Blank Project menu item. 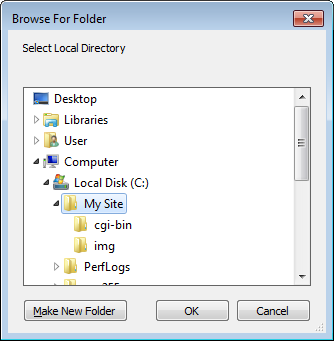 Click the Select Local Directory button. After that, the local contents of your site are loaded. 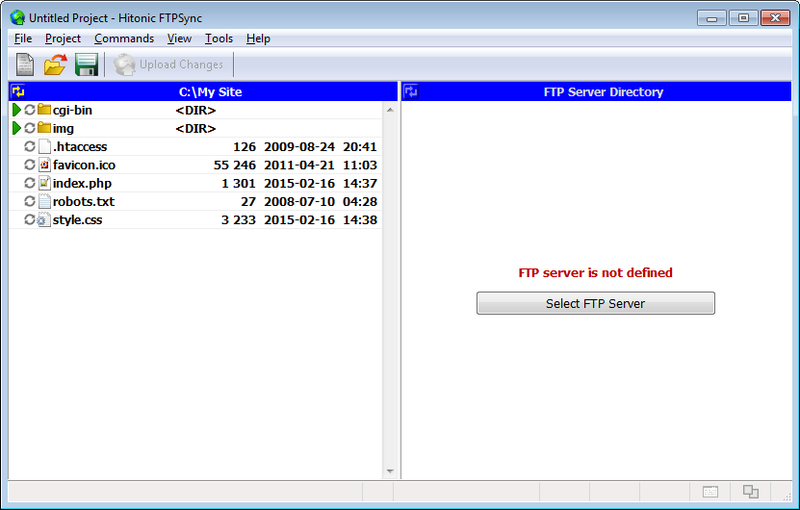 Select the FTP server by clicking the Select FTP Server button. 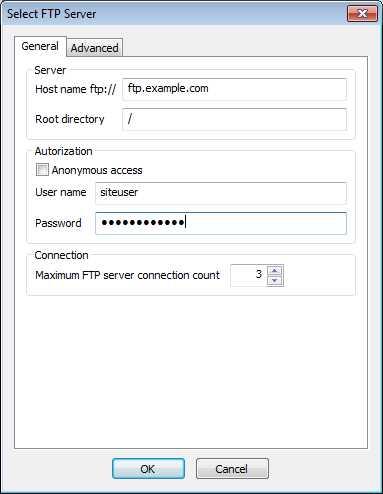 Enter your FTP server connection settings (domain name, root directory, authorization, etc.). 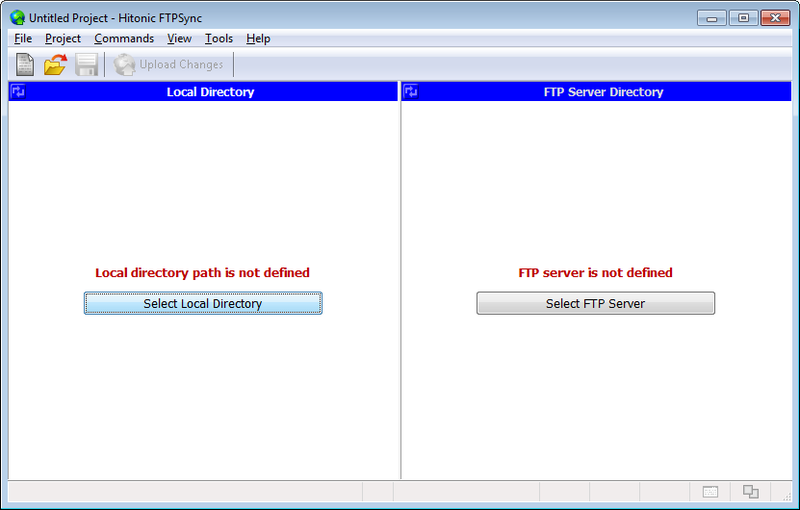 After that, the FTP server directory contents are loaded. You can expand contents of directories by clicking . So now you see all the difference on file systems of the local computer and the remote server. Click the Upload Changes button. Verify the changes and press the Upload button. The changes will be uploaded to the FTP server.